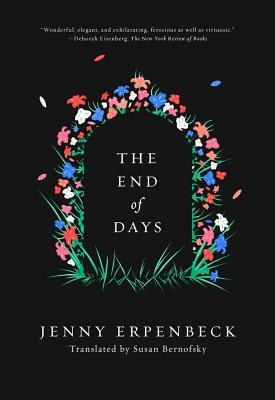 This month we'll discuss The End of Days by Jenny Erpenbeck, translated by Susan Bernofsky. Whether you're a seasoned traveler, a voracious reader, or a dreamer who wants to see the world, all are invited to our newest book club focused on international literature. Sometimes visiting other countries doesn't always give travelers an insider's view into foreign cultures; sometimes we are still too outside, too different, to get at the heart of a place. Often the best way to understand distant lands and peoples is to read their literature, to get inside the head of a foreign author, to hear their myths and fairy tales molded around words they penned in their mother tongue. In Found in Translation, we will delve into a work of international literature in a small group setting while enjoying coffee, beer, or wine drinks from First Draft Book Bar, located in Changing Hands Phoenix. Stop by Changing Hands Phoenix or Tempe (or order online by clicking "add to cart" below) to get your copy of The End of Days for 20% OFF. Then meet us at First Draft Book Bar to discuss the pick and enjoy HAPPY HOUR prices all through the event.